If you grew up in a small town, you know how boring it can get. You also know that everyone knows everyone else’s business … or do they? Barnesville is one such town, but the secrets there are centuries old – secrets that generations of witches have guarded well. 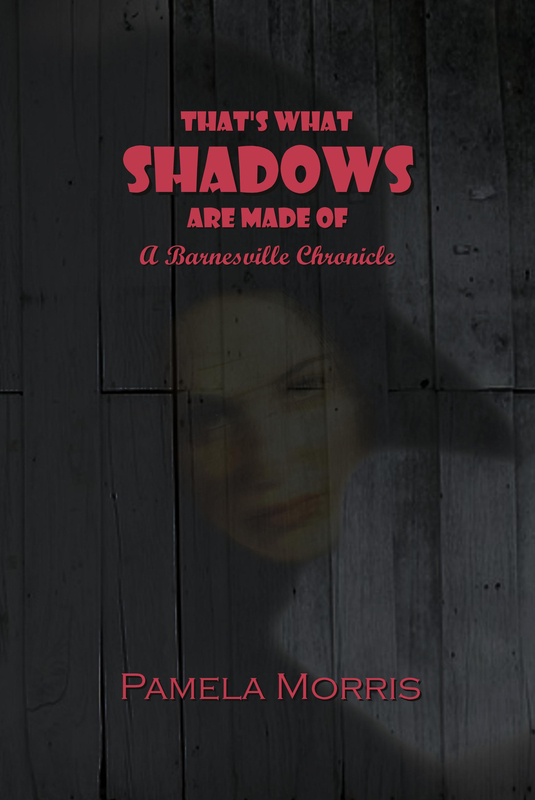 The Barnesville Chronicles walks you down Main Street amongst the shadow figures that haunt, stalk, possess, manipulate and murder anyone who dares get too close to its dark and bloody past. Your first stop should be the public library where librarian and town historian, Nell Miller, will be happy to help you. She’d love for you to visit the museum upstairs, too. Just, mind the old scarecrow guarding the top of the stairs. 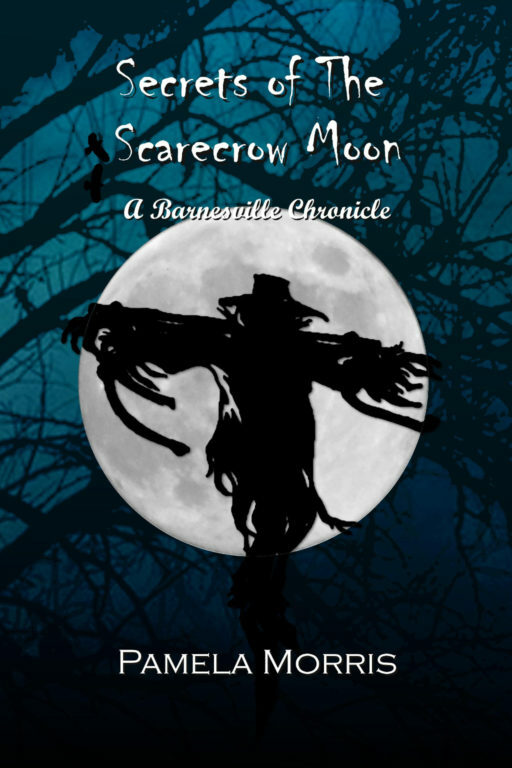 He’s part of a rare collection of memorabilia that pertains to the town’s first settlers and the Secrets of the Scarecrow Moon. After that you might find it of interest to head a few miles south into North Valley where they are dealing with the death of their beloved funeral director, Dan Walden. Everyone loved Dan and his wife Carol – okay, maybe not everyone loved Dan so much because someone gave him a mighty whack to the head and stuffed him in a display coffin to die. Angela Jennings, the daughter of one of Nell Miller’s best friends, is part of the police team trying to figure out just who the someone was. It seems like your normal murder case until an ethereal shadow figures starts cropping up all over town and visiting some of the fine folks in Barnesville, too. Who, or what is this dark and shifting form? 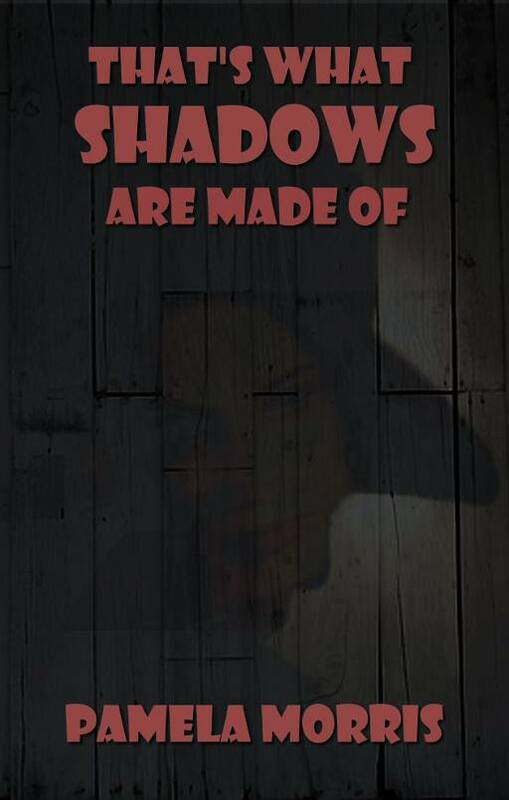 Find out in That’s What Shadows Are Made Of. Every small town has its local stories and legends. Barnesville is no exception. Back in the 1850s an old woman believed to have been a witch, cast a curse upon anyone and everyone who dared pay the site of her death a visit at night, a narrow section of road and its ravine that, over the years, became known as The Witch’s Backbone. If you see her and meet her gaze, you’re a goner. Back in 1980 a bored group of kids from the nearby farming community of Meyer’s Knob thought it would be a great idea to investigate this urban legend a bit closer. Maybe it wasn’t such a good idea after all. As the years pass, the reports continue to trickle in, expanding on what has become known as The Barnesville Chronicles. As of this posting there are at least two more diabolical secrets that the locals would really prefer you turn a blind eye and deaf ear to. They don’t need that kind of publicity. They like things quiet and they prefer the dark side of the history books remain shut. I promise you, I’m doing my investigative best to dig up these stories and bring them into the light of day. Maybe I should head on over there myself and poke around that little library of theirs. I hear that Nell Miller woman is some sort of witch. Let’s face it, we like to joke and yes, mostly complain, about all the many customer service jobs that have gone overseas, mainly to India. They aren’t helpful. We can’t understand their accents. All they do is repeat verbatim what we’ve already read on the initial Help Screen of whatever company we are dealing with. This leaves us angry and frustrated and vowing never to do business with those people ever again! This review is no such thing! 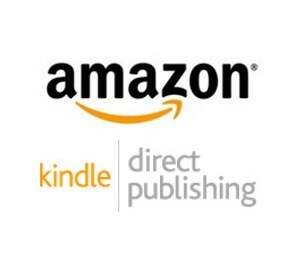 A couple months ago I decided to move a couple of my paperbacks from CreateSpace to Kindle Direct Publishing. There’s been rumor that CreateSpace is on the way out and, though nothing firm has yet to be released, it may not be a terrible idea to make the switch sooner rather than later. It’s all the same company, Amazon, and the directions appeared easy enough, so off I went. The first title made the transition with no problems whatsoever. I waited a couple days to make sure all was well before setting out to move the second title. That’s when a roadblock smacked me in the face. I got the error message that the ISBN-13 number I was trying to use was already assigned to by another title. What the what? I looked back through everything and couldn’t see where this was happening. Desperate, I sent a message to KDP’s Help and crossed my fingers. Archana got back to me a couple days later. He (or she) told me I needed to remove the ISBN-13 from a previously created version of the book in question. After that was done, I should be able to delete that version and move on with putting the ISBN to the new one. Off I went, following directions, finding the error and happily deleting, then waiting the needed 72 hours before trying again. And … it didn’t work. The same error message was still there. I wrote back to KDP to let them know it still wasn’t working. Someone named Karthikeyan replied to my message and said she (or he) would look further into the matter and get back to me and could I send screen shots of what I was seeing so they could be passed on to the IT guys. I did, crossed my fingers, and waited. A couple days passed when I heard back from the next person to handle my difficult case, Nithinesh. Nithinesh let me know their tech support people had restored three other versions of the title that I’d apparently created in error and that they also needed deleting. This in mind, I logged into KDP yet again, found the titles and deleted those as well. After another 72 hours, I tried to move the new version and lo … it still didn’t work. Ugh! On Tuesday, word arrived from my fourth KDP Helpful Assistant, Siyam. Siyam informed me that they had restored the other versions again and reposted my directions. He (or she) also said to not delete the others entirely until AFTER I’d been able to convert (or not) the ISBN-13 to the latest paperback version. Good thinking there, Siyam! I’ve gone in and deleted the ISBN-13s from the three older version. ((What puzzles me is why was I allowed to create these three others version at all? Shouldn’t I have gotten an error message when foolishly attempting to create this thing a second time? Let alone a third!)) This morning I took the next step and entered the ISBN-13 for the version I want used. And LO!!!! IT WORKED! The process when through smooth as buttah! I am SO grateful to Siyam, Nithinesh, Karthikeyan, Archana, and all the KDP IT people who helped get me through this issue. Super, super happy and yes, very surprised that this story has a happy ending. Thanks KDP Help Desk … you’ve gotten a great big gold star from me! There’s no mistake about it, someone murdered the village funeral director. One person even steps forward to take the blame, but what was done to the body would be impossible for them to have done unless they had help. 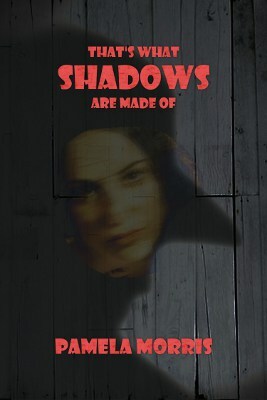 Soon others become suspect as the true nature of the victim steps out of the darkness to reveal a not-so-amiable member of the small town in Upstate New York. But whose hatred ran so deep as to bludgeon the man and stuff him into a coffin to die? Was it his son who wants nothing more than to bring the family business out of the 19th century? Was it his wife or maybe the owner of the funeral home across town who is struggling to make ends meet? Or was it the deed of a malevolent shadow figure seen lurking outside the funeral home the morning Dan’s body was found? Lies, confessions, and long-held secrets mix with the fine art of witchcraft, as the local police and a nearby coven of witches both struggle to bring a killer to justice. But how do you capture a murderer who seems to be made of shadows that fades into obscurity every time the light of truth draws near? A drawing for a free copy of “That’s What Shadows Are Made Of” happens one week from today! There’s still time to enter for a chance to win ONE OF THREE copies that I will sign and ship to you FREE! Just provide your real name, an active email account, and then verify that account when you receive the verification notice and you’re good to go!